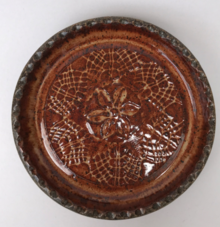 Check out Cardinal Lake Pottery and the range of wheel-thrown stoneware products offered for use throughout your home. Sizes listed for products are approximate as each piece is hand-thrown on the wheel. All products are lead-free, food-safe, oven, microwave and dishwasher safe. Please include choice of glaze for inside and outside of pottery with colors shown below in the comment section during checkout.